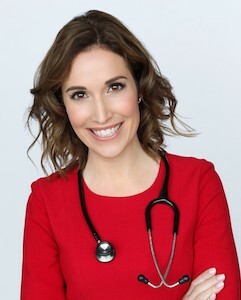 Dr. Tanya Altmann is a leading pediatrician and best-selling author. Her expertise lies in baby nutrition and gut health, but she also speaks to everyday parenting issues. Altmann is the author of What to Feed Your Baby and Baby and Toddler Basics, as well as editor-in-chief of the American Academy of Pediatrics' parenting books, The Wonder Years and Caring for Your Baby and Young Child: Birth to Age 5. Dr. Tanya has made numerous media appearances and contributions over the years, but she would say her most important role is being mom to her amazing three boys. Baby Gut Check: Is baby’s gut getting the head start nature intended?